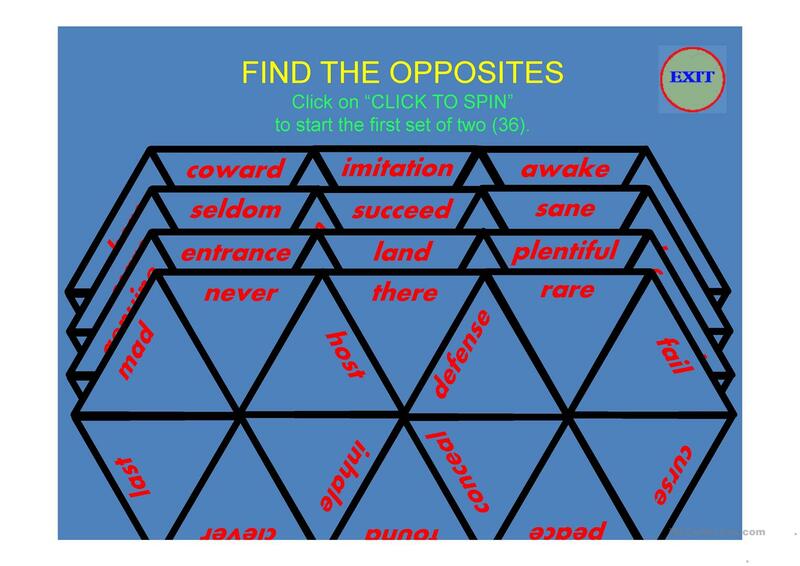 Click on the two opposites that are the opposite of each other. 144 words to match. This downloadable worksheet is meant for high school students, elementary school students and adults at Elementary (A1) and Pre-intermediate (A2) level. It is a useful material for practising Adjectives in English, and is a valuable material for developing your learners' Reading skills. It features the theme of Opposites. The exercises come with the solutions.